As of May 2018 the FAA estimates just under 22,000, or approximately 6% of all pilots, are now flying under the FAA Basic Medical Rule known as “BasicMed”. The average age of a BasicMed pilot is 64.2 and the oldest BasicMed pilot is 99.3. Many of the pilots flying under the latest regulations have medical conditions which previously required a Special Issuance authorization from the FAA. Pilots who have had a valid Class 3 FAA medical certificate anytime after July 15, 2006 may be eligible to fly under basic medical rules as long as they don’t have a condition listed as disqualifying (see below) and provided their medical certificate has not been denied, suspended or revoked. 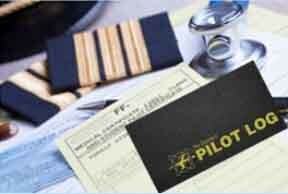 Pilot Medical Solutions has helped several pilots to navigate the BasicMed process. We help pilots and their treating physicians to establish eligibility to fly under the BasicMed criteria and also to document eligibility for their private BasicMed authorizing physician. This includes pilots who have contracted certain medical conditions since being certified by the FAA and even many pilots who were previously denied, suspended or revoked by the FAA. BasicMed was drafted under the Pilot’s Bill of Rights 2, (PBR2) – S.571. This was written into federal law and the FAA has established the medical procedures which took effect May 1, 2017. The first bill of rights was essentially Miranda rights for pilots. This second bill was not the simple solution that many pilots were hoping for as the expectation among many pilots had been that FAA Class 3 medical certification would be abolished. That did not happen. The FAA has issued alternative medical qualifications under the title “BasicMed”. And not fly for compensation or hire. The original bill and subsequent law were born after Senator Inhoff landed on a closed runway and was “inspired” to promote legislation to protect pilots from government harassment. Acronymic membership groups gallantly promoted and lobbied for the bill which was designed to revise not eliminate third-class medical certification regulations issued by the Federal Aviation Administration. The BasicMed “reform” does not help pilots who had hoped to completely eliminate Class 3 FAA medical certification. Many of the pilots with certain medical conditions that have traditionally required Special Issuance/waiver certification will still need to gain their initial approval from the FAA through the long-established formal process. (1) Diabetes mellitus requiring hypoglycemic medication; (2) Angina pectoris; (3) Coronary heart disease that has been treated or, if untreated, that has been symptomatic or clinically significant; (4) Myocardial infarction; (5) Cardiac valve replacement; (6) Permanent cardiac pacemaker; (7) Heart replacement; (8) Psychosis; (9) Bipolar disorder; (10) Personality disorder that is severe enough to have repeatedly manifested itself by overt acts; (11) Substance dependence; (12) Substance abuse; (13) Epilepsy; (14) Disturbance of consciousness and without satisfactory explanation of cause, and (15) Transient loss of control of nervous system function(s) without satisfactory explanation of cause. Basic Med requires at least one medical exam for new student pilots and special issuance medical holders and also for pilots who haven’t had a medical since July 15, 2006. While the FAA will allow some pilots to avoid the conventional FAA-AME aviation medical exam, they must have their BasicMed authorizing physician complete a medical checklist which essentially covers the same areas traditionally reviewed by AME’s on the FAA medical application Form 8500-8. What pilots need to know is that during their initial online vetting process or the mandatory examination for BasicMed some pilots will be told that they require Special Issuance. Pilots who wish to utilize BasicMed will also be required to take an aeromedical factors course once every two years and also to see a physician at least every four years. Pilots with special issuance’s for cardiovascular, neurological, psychological or other conditions may use a private doctor to perform ongoing examinations to meet FAA requirements. Some have raised safety concerns and insurance companies for both pilots and physicians may nullify individual participation. There can also be legal issues. Since private physicians are now directly responsible for establishing flight fitness, it is important to present eloquent flight fitness documentation to BasicMed authorizing physicians. This is because without additional liability insurance coverage related to BasicMed doctors are not protected from the extra liability associated with BasicMed flying and may be wary of being sued. Again, having clear well-organized information presented to your private BasicMed authorizing physician can reduce or eliminate the concerns of your doctor. Contact Pilot Medical Solutions to find out more about our case management services. Learn more by visiting our BasicMed FAQ’s Page or reading the PDF’s below. FAA medical certification – With our service it’s easier than you think!